The ski resort that has everything! 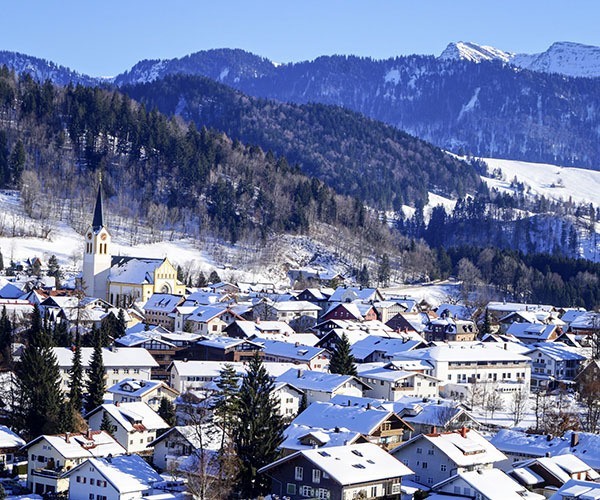 St Anton is a short transfer of only 1 hour 15 minutes from Innsbruck airport, so if you leave in the morning you can easily be on the slopes in the afternoon. Most importantly, St Anton has a great snow record and an excellent ski area, with over 280km of pistes, and some of the best backcountry skiing you’ll find in the Alps. Accommodation options include modern luxury hotels such as Das Mooser or traditional chocolate-box chalets like the Eden Rock, which offers an indoor pool, sauna, steam room, gym and every other mod con you can think of. You’ll enjoy space-age lifts such as the Galzigbahn and the five different saunas of the Arlberg Wellness Centre have to be tried out. Then of course there is the legendary Austrian apres-ski to enjoy. Whether you pick the infamous Krazy Kangaruh or the Moosevirt, you’ll be dancing in your ski boots by the end of the evening! If you’ve been avoiding Courchevel 1850 because you thought it was full of Russian oligarchs, then you’ve been missing out. The fall of the rouble and sanctions on travel mean that there are excellent deals available for ski weekends in some of the resort’s wonderful five-star hotels. My favourites include the magnificent Hotel Le K2 or the lesser-known Hotel Le Lana. Foodies will love the choices for eating out. Courchevel has the highest density of Michelin-starred restaurants for any ski resort in the world, with seven restaurants sharing 11 Michelin stars, including the Chabichou and the Baumanière. Did I mention the skiing? As part of ‘Les Trois Vallées’ – the world’s largest ski area – you’d struggle to ski every run in a fortnight, let alone a weekend. If your time is really is valuable to you, then why not cut your transfer time right down by taking a private jet or helicopter transfer direct to Courchevel’s own ‘altiport’? Now that would be the ultimate luxury ski weekend. Regularly voted the ‘World’s Best Ski Resort’, Val Thorens is very different resort from even just a few years ago. Once thought of as a budget resort for good value self-catering holidays, Val Thorens has gone significantly upmarket. As the highest ski resort in Europe, Val Thorens has always been able to guarantee snow (it opens in November and doesn’t close until May), and being part of Les 3 Vallées, you can be sure of extensive skiing. Now it can guarantee luxury quality as well. There are four 5-star hotels in the resort. The most recent to open was the elegant Pashmina, which joined the sparkling Koh-i- Nor, Scandi-chic Altapura and Hotel Fitzroy at the start of last season. The highest quality cuisine is on your doorstep in Val Thorens. Jean Sulpice is an extraordinary chef – brought up in nearby Aix-Les- Bains – and won his first Michelin star for his eponymous restaurant when he was only 26. A second was added in 2010, at the age of 31. Sulpice is joined by Jérémy Gillon whose L’Epicurian restaurant, one of three in the ‘Restaurants de Montana’, was awarded a Michelin star in 2015. Add La Bouitte, just down the valley in St Martin de Belleville and you are spoiled for choice for fine dining when on a ski weekend to Val Thorens. Don’t dismiss Switzerland purely on the grounds of cost. While I am a huge fan of Zermatt, which has great skiing and the undeniable draw of the iconic Matterhorn, my tip for a luxury ski weekend in Switzerland is Verbier. The shorter transfer time for Verbier gives it an advantage for a ski weekend. Just 1 hour 45 minutes from Geneva, you can be on the slopes in the afternoon after an early flight. Or if you fly smart and head to Sion airport it’s just 40 minutes. Once in resort, you’ll soon see why royals and celebrities flock to Verbier. Princes William, Harry and Andrew have all holidayed here, Richard Branson has his own chalet and A-listers such as Leo DiCaprio, Jude Law and Bono. Verbier mixes great apres-ski with high-altitude, testing skiing. The ‘Quatre Vallées’ ski area includes neighbouring resorts Nendaz, Thyon, Versonnaz and La Tzoumaz and offers more than 410km of pistes making it the largest ski domain in Switzerland. The W Hotel is the pick of the 5-star hotels, with the Hotel Nevai another excellent choice for a ski weekend in Verbier. After your day on the slopes, you can enjoy old school partying at the legendary ‘Farm Club’ – founded in 1971 and still rocking – or try out the Farinet, probably the busiest of the apres-ski bars in resort. Megève is less well known among the British, but has been a go-to destination for Parisians and Genevois for years. One of France’s oldest ski resorts, Megève was founded by the Rothschild family in the 1920s and has retained an elegant chic ever since. Just one hour from Geneva, it’s perfectly located for a ski weekend, with one of the shortest transfers for any ski resort. The ski area is larger than you might imagine, with the full area lift pass covering 445km including St Gervais and Les Contamines, as well as Chamonix and Les Houches. Apres-ski is covered by the legendary Folie Douce, located at the top of the Mont Joux chairlift. 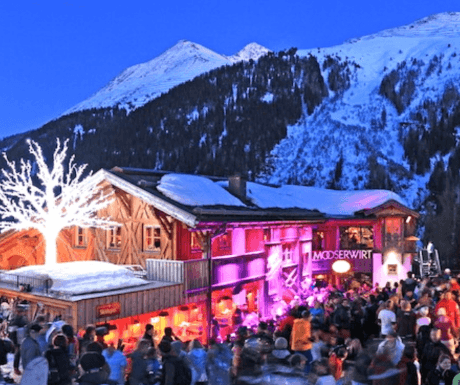 Megeve is one of just five locations in France for their ‘clubbing at altitude’ concept and their cabaret is something that needs to be seen to be believed. You can eat at the La Fruitière restaurant at the Folie Douce for a lunchtime treat, or for something more formal, why not try the Michelin star Flocons des Sel – set in a 19 th century farmhouse in the town centre. 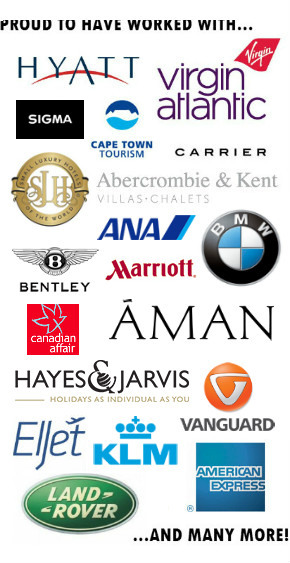 Whereever you choose to go for a luxury ski weekend this winter, have a great trip! I haven’t gone skiing at any of these resorts, but would totally love to! In fact, I’ve only been skiing in New England but the west coast and Alps are definitely on my list! Thanks for sharing interesting post and nice view and I think the best ski resorts for a luxury ski weekend. Lovely shared the captured pictures. I have never been skiing at all but would love to stay in any of these resorts just the same. I’d go for the views and beauty!! Once i tried skiing and got fractured. From that day, I am little bit scared of skiing. But yes, resorts are really beautiful and full of luxuries to stay.